Even though I have left the USA, I still like to keep up with things there. I like to keep up with my favorite sports teams, like the Rutgers University Football and Basketball teams, The New York Giants Football team, The New Jersey Nets, and sometimes the New York Yankees, and the New Jersey Hockey team. I also like to read my local paper, The Asbury Park Press, to check in every now and then. In order to read the Jersey papers, you have to go through the NJ.com website. Please enter your ZIP Code, year of birth and gender below for full access to our site. Knowing more about our audience will help us provide a better service for you. Thank you. If you were outside of the USA, a drag down list would appear, asking you to choose which country you were in. It was a pretty comprehensive list, including every possible speck of land on earth. I don't know why, but it pissed me off having to reveal where I was every time I wanted to read the box scores, or see which one of my high school classmates was in prison. So I always chose the most unlikely spot I could think of- the Wallis and Futuna Islands. Where's that? How the hell would I know? For all I knew, they were somewhere up in the Artic near Spitzbergen, or somewhere in Canada. 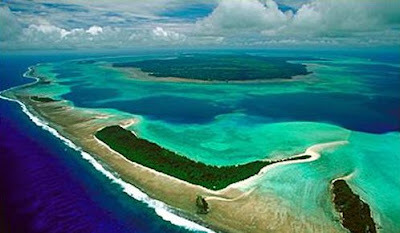 (OK, it turns out they are in the Pacific between Fiji and Samoa). that would take you to page two with no further problems. I like to think that I had something to do with that change, that they got tired of seeing some idiot logging in from the Wallis and Futuna Islands, and decided to change the page. Just another small victory in the fight against internet irritation!